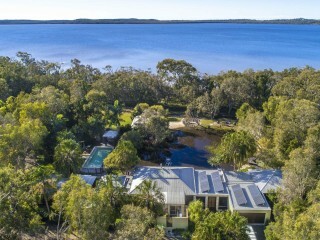 A private estate, surrounding a tranquil lagoon with exceptional long views over Lake Weyba, Weycoola is certainly in a league of its own. 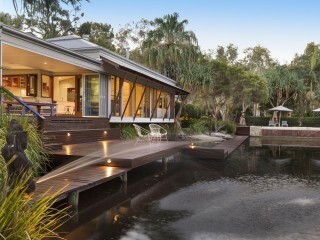 Beautiful and serene in every aspect, this magnificent residence epitomises resort style living. 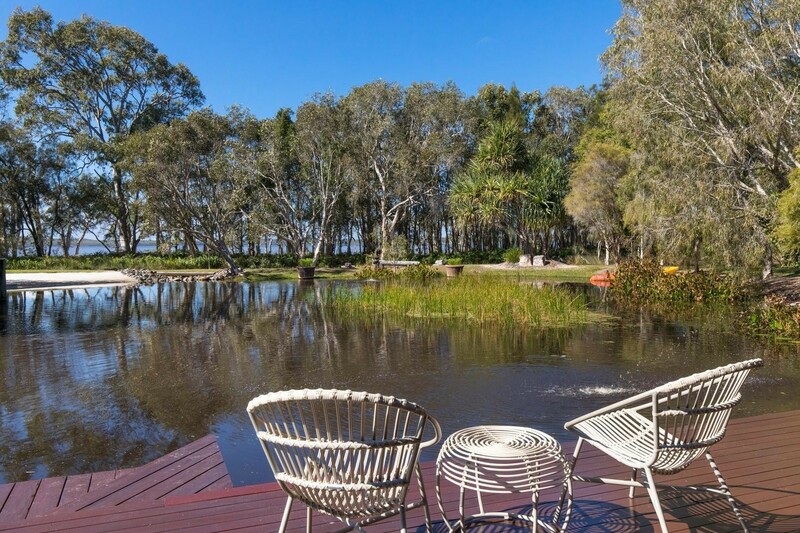 Privacy and abundant natural beauty ensures a peaceful existence with lake-frontage that spans over 100 metres, Weycoola is a one of a kind trophy home that will make a stunning permanent residence or remarkable holiday home. 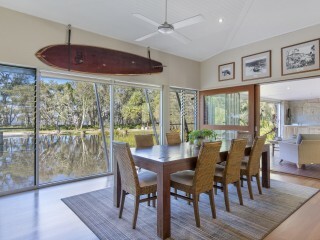 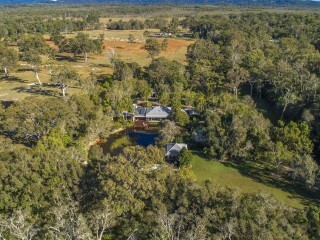 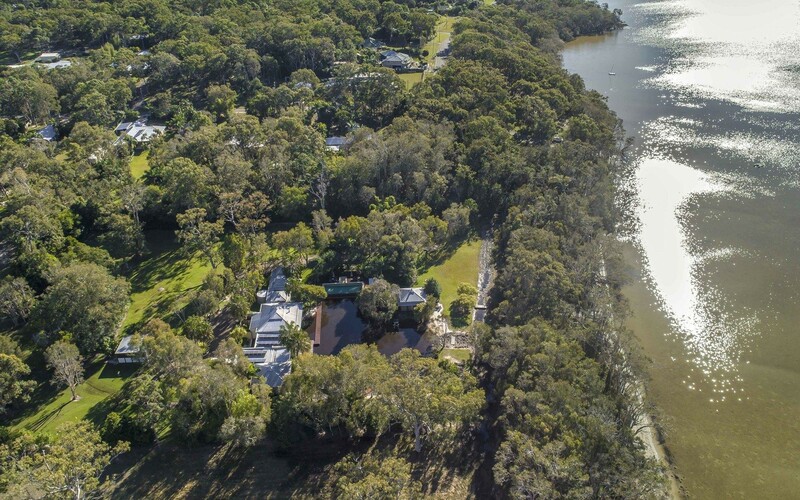 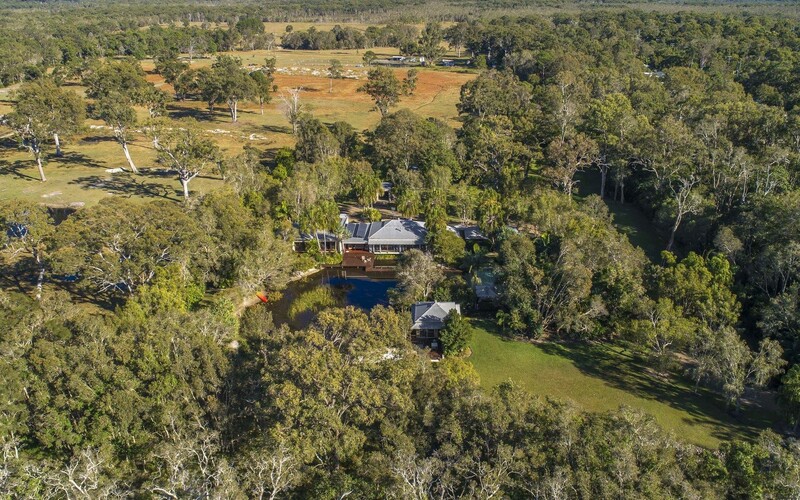 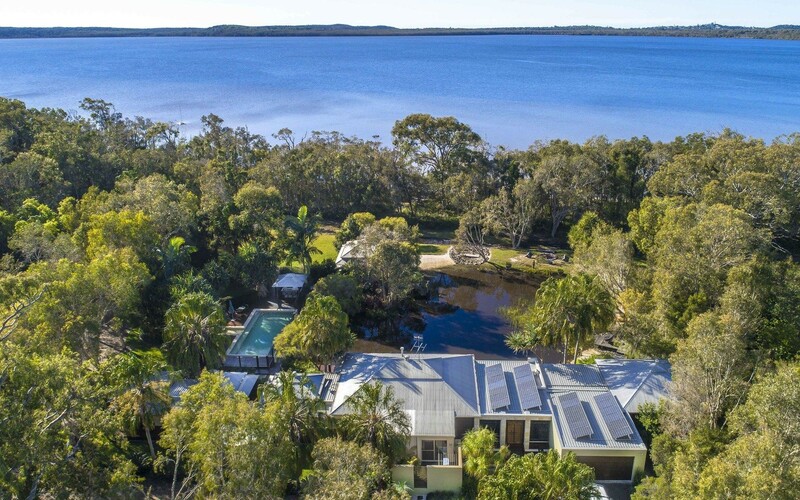 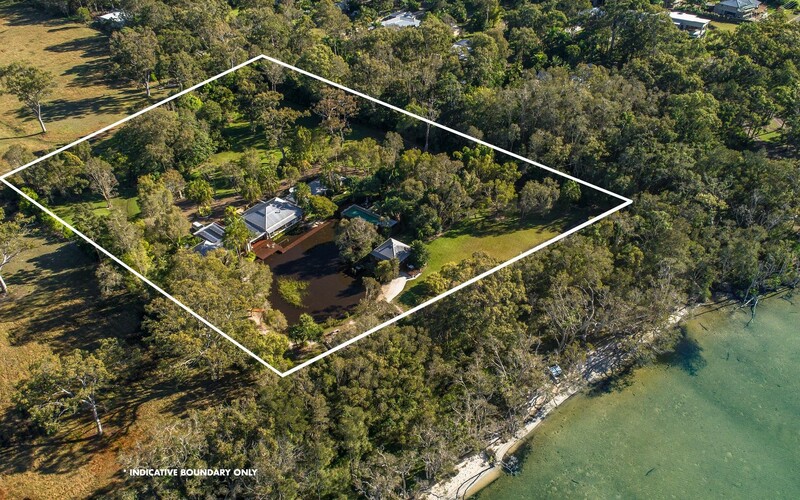 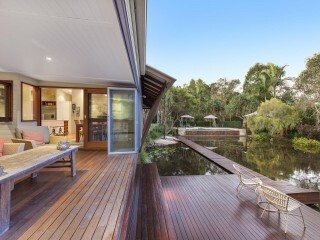 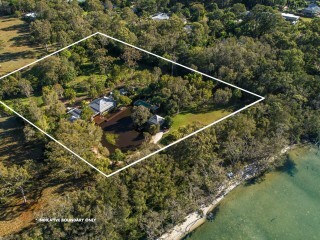 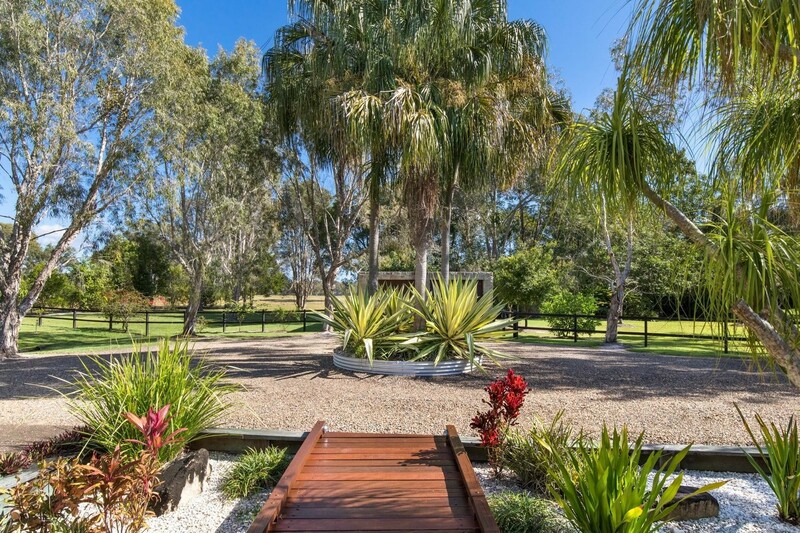 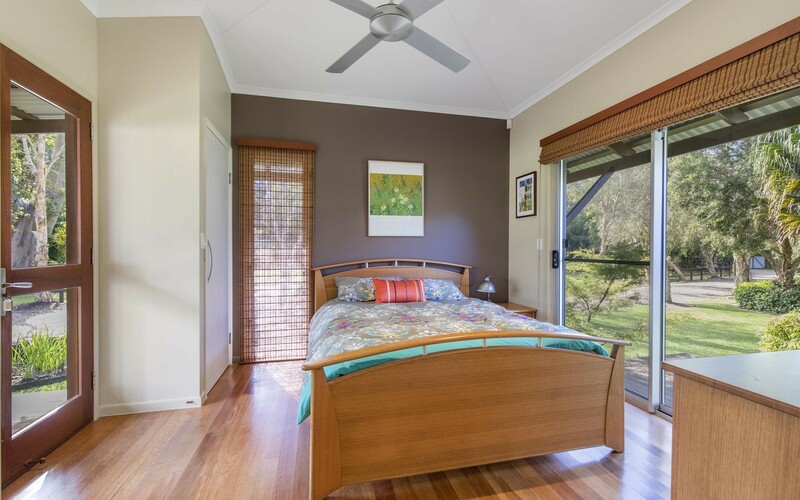 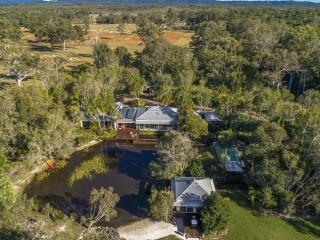 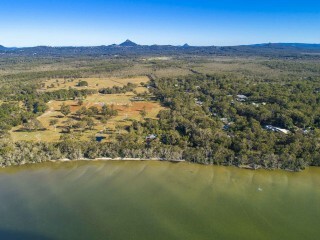 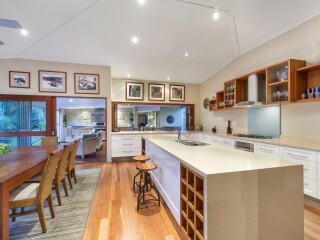 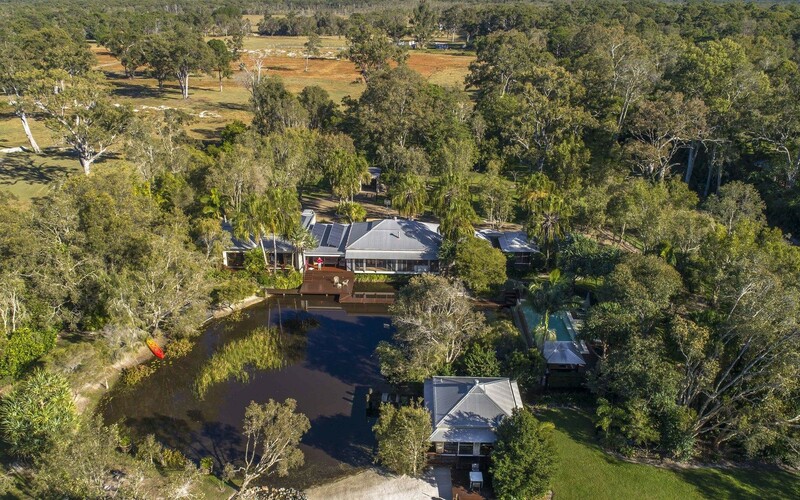 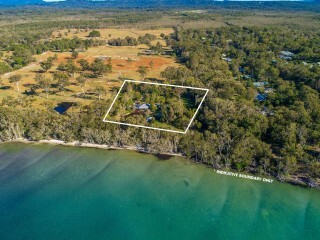 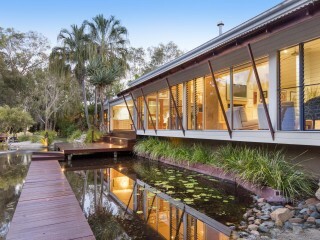 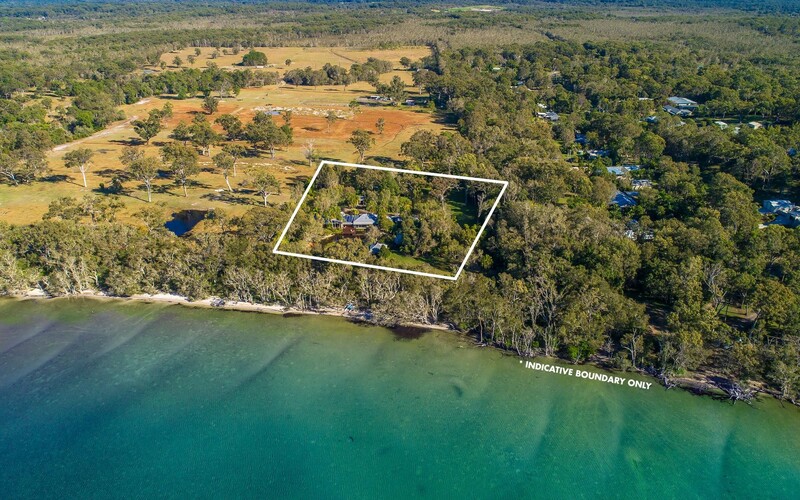 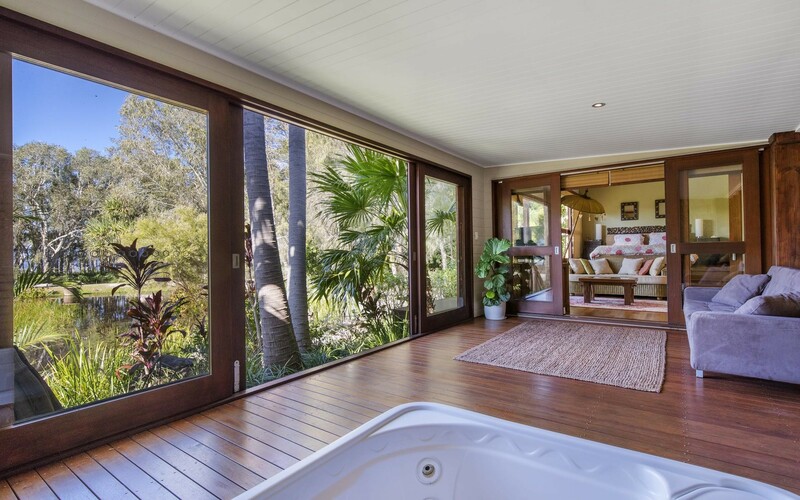 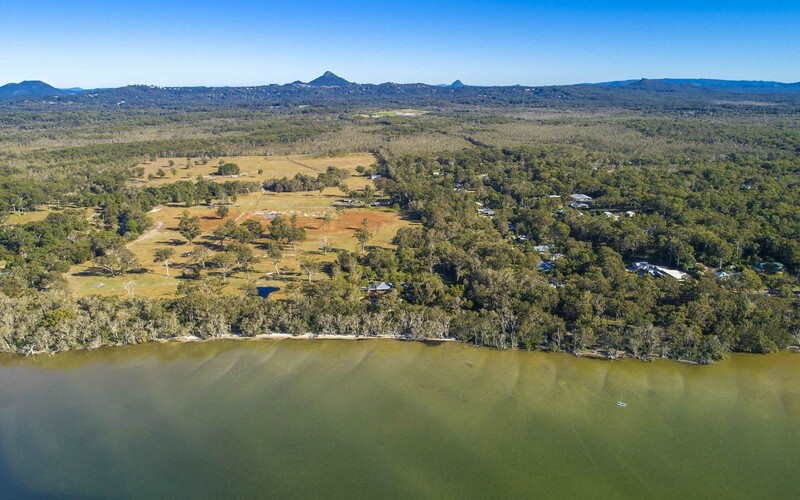 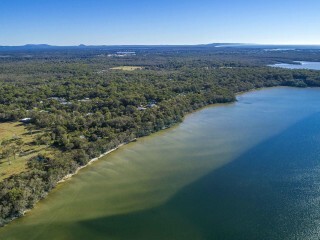 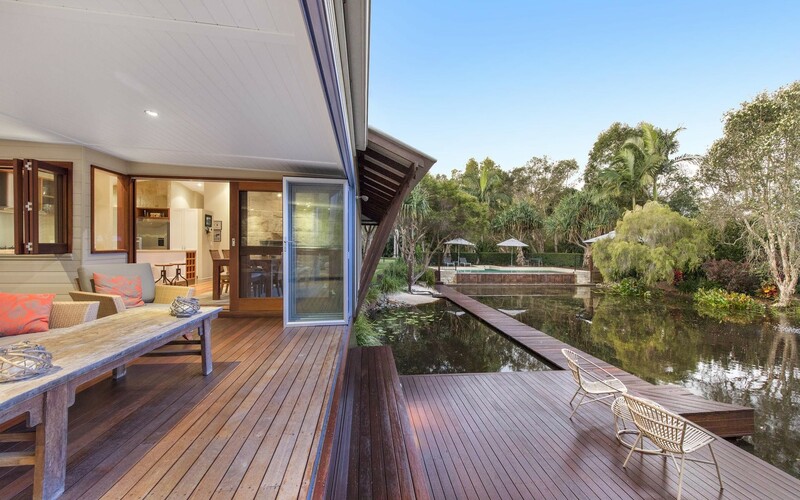 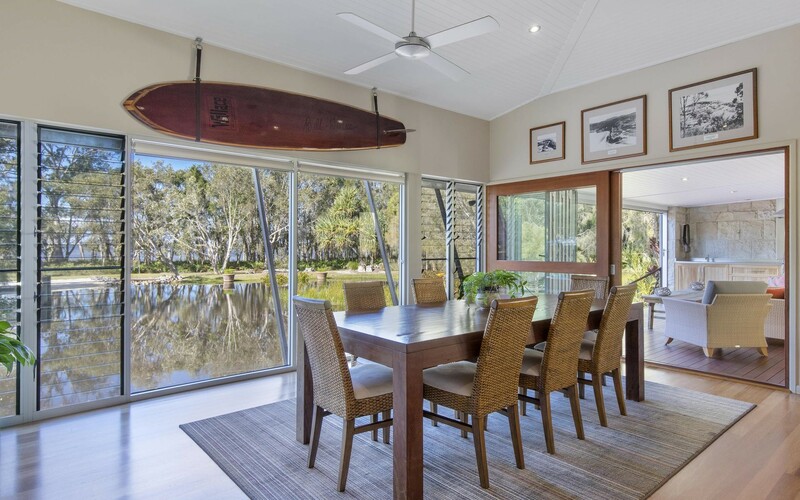 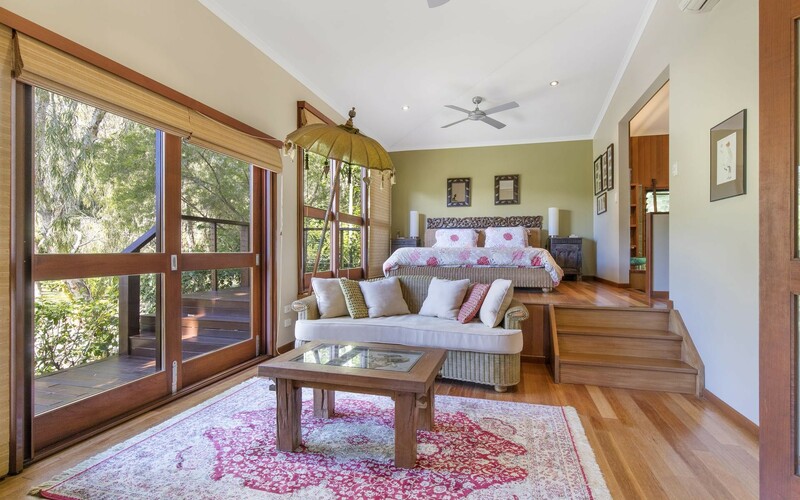 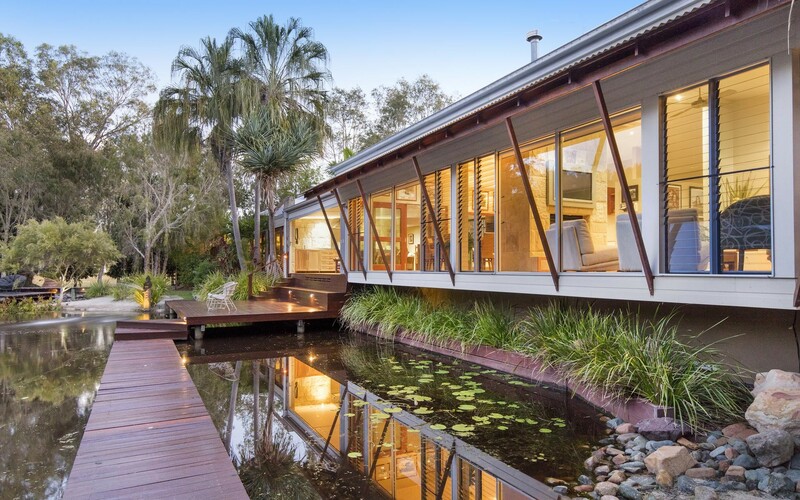 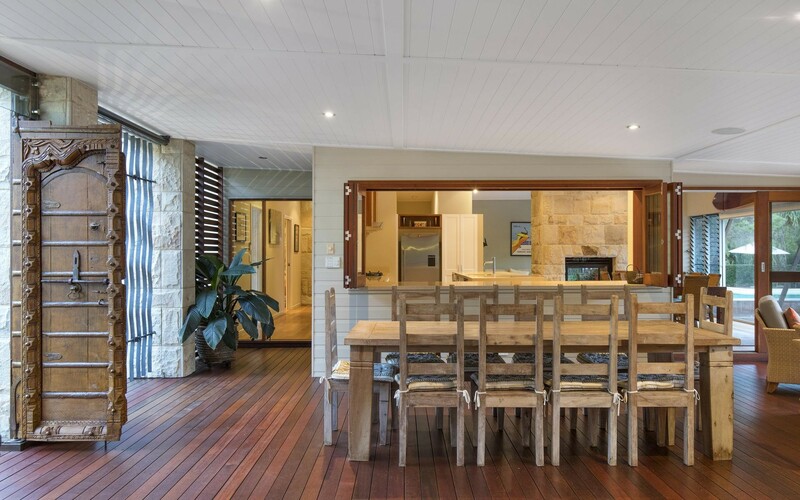 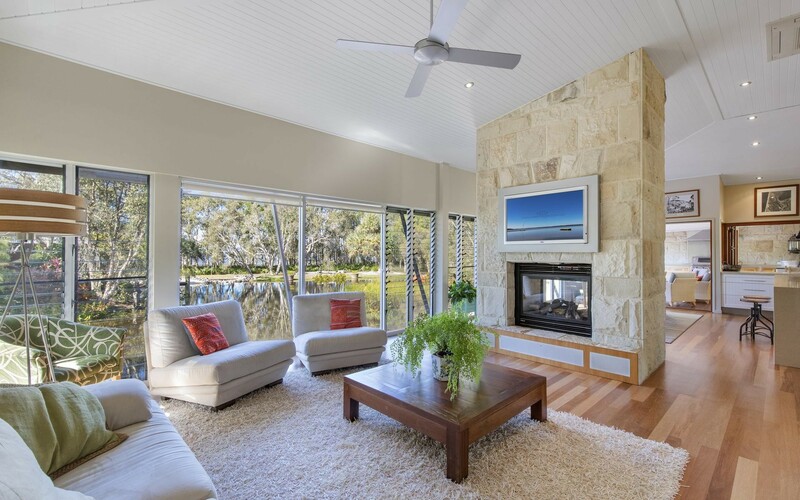 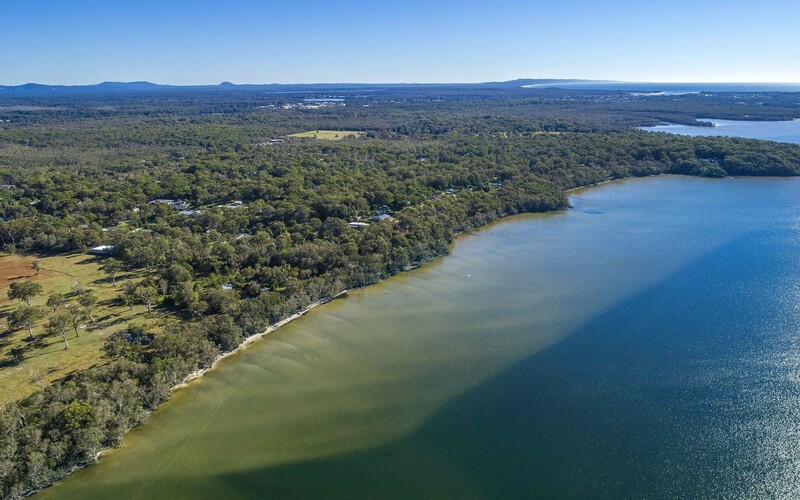 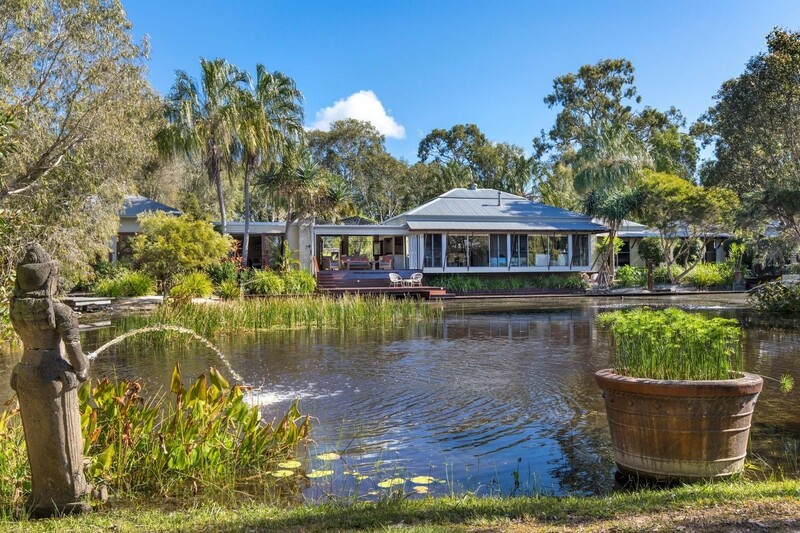 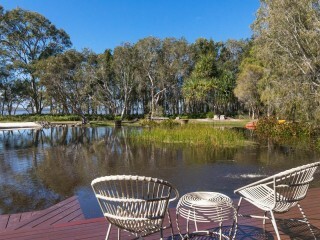 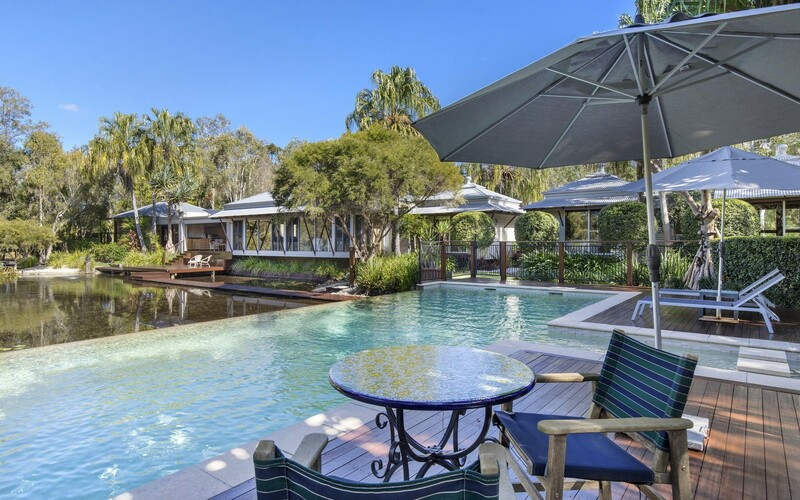 Situated on 1.38 hectares (3.4 acres), there is not a neighbouring house in sight, yet you are just over 10 minutes from the world renowned holiday destination, with fine dining, National Parks and Noosa's famous beaches all just moments away. 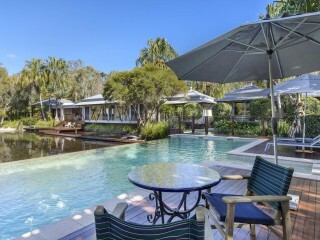 In true resort style the estate consists of three separate buildings which are joined by winding boardwalks that wrap around a private lagoon. 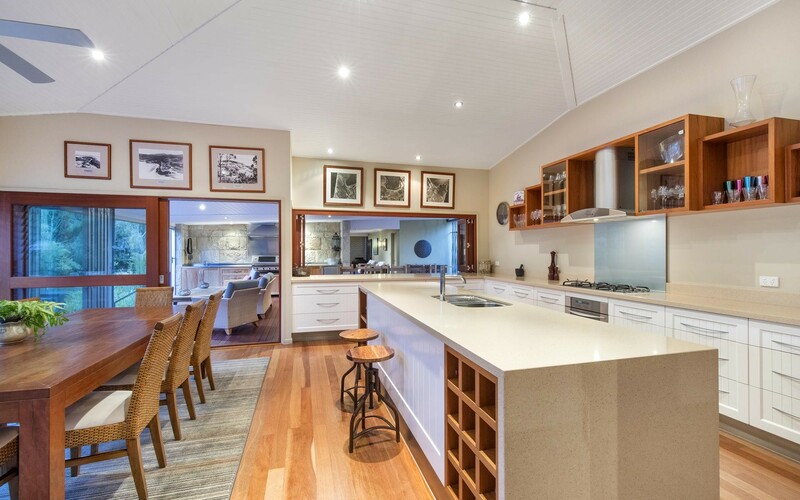 Central to this, an expansive and well-appointed kitchen adjoins the formal dining room which is separated by a two-way gas fire place to the living room. 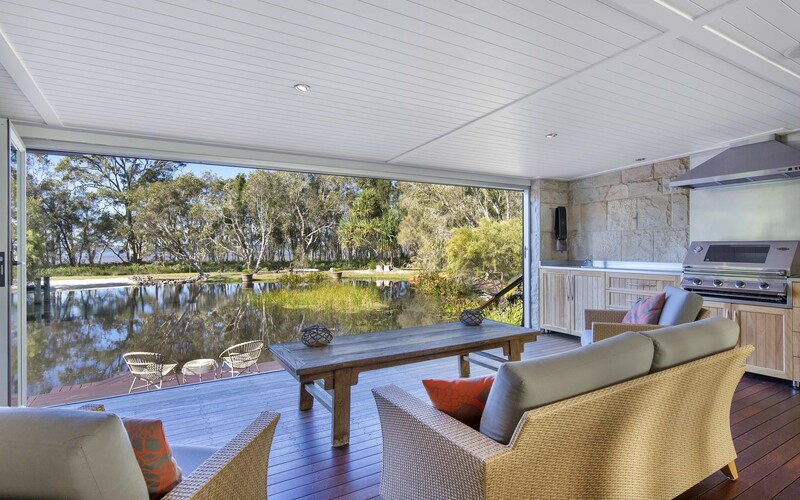 The kitchen also opens through a wide bank of bi-fold windows to the alfresco area complete with in built barbeque and steps to a water level dining terrace. 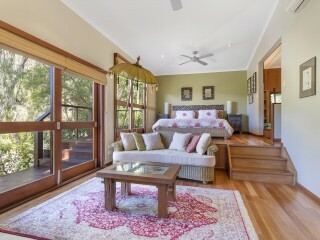 Sitting atop the master wing, the main bed overlooks the rest of the suite which has spectacular lake views. 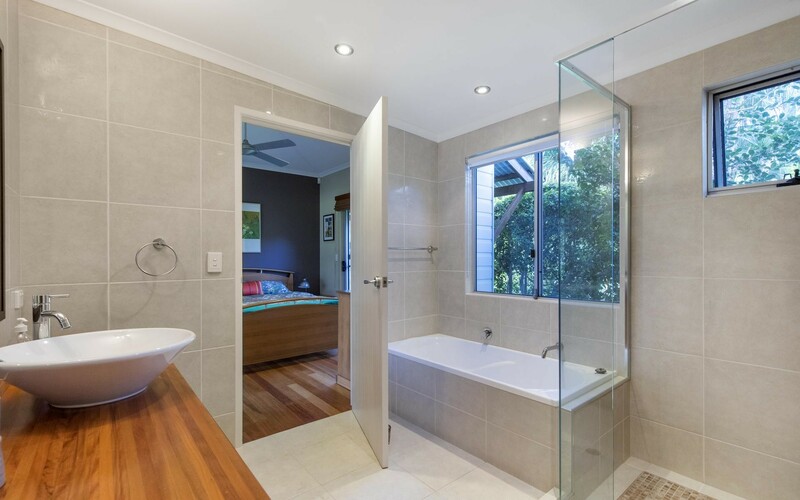 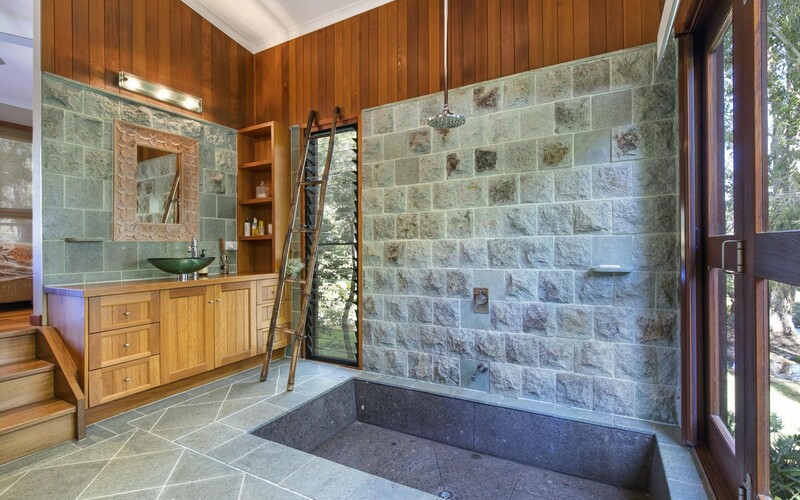 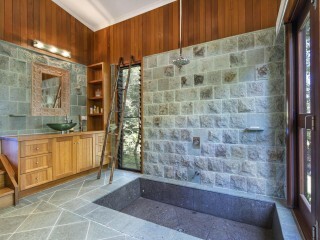 Almost apartment sized, the suite consists of a parents retreat, ground level spa, walk in robe and spacious ensuite featuring a sunken shower. 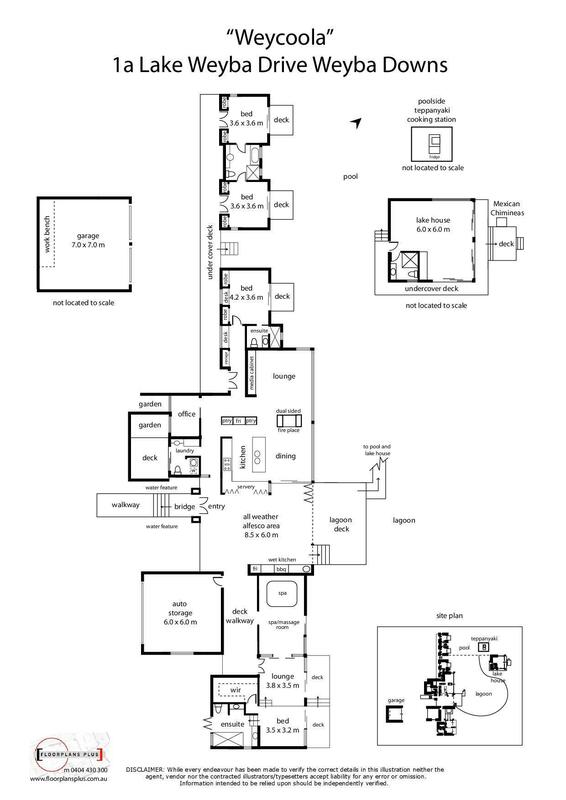 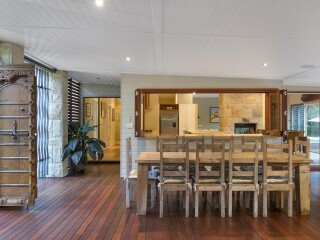 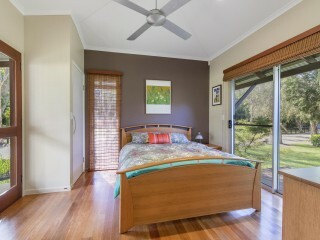 Two further bedrooms are separate from the main house, yet joined by a covered deck. 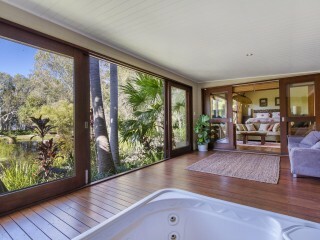 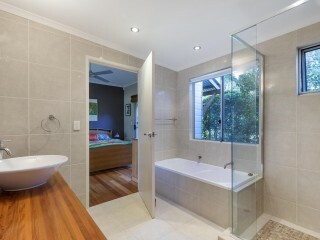 Both have private balconies and access a central bathroom. 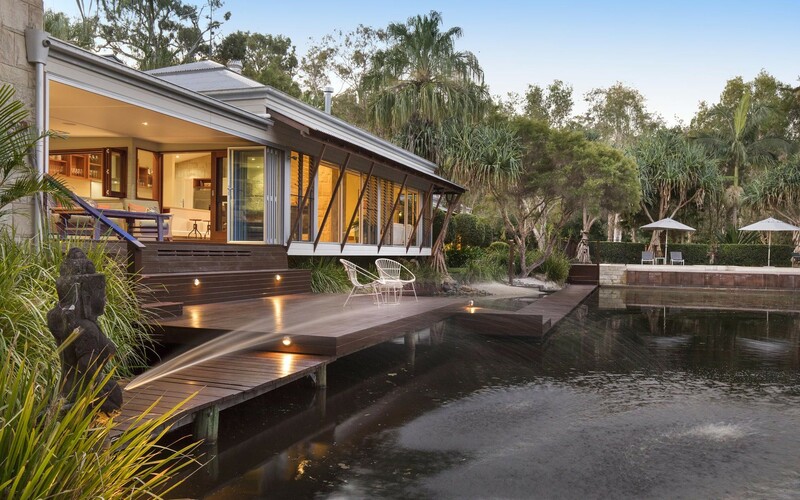 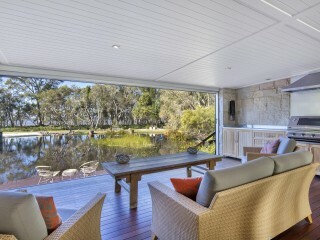 Towards the lake a self-contained guest house includes ensuite, kitchenette and wrap-around decking to an outdoor dining terrace and private jetty. 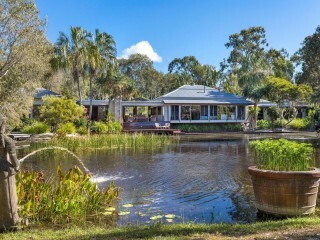 Externally an extensive 11 x 5 metre pool appears to flow into the lagoon. 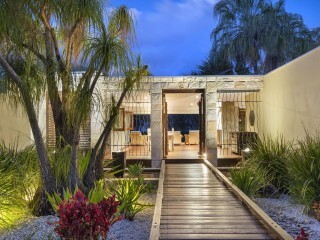 Itself surrounded by a huge sun deck and a cabana with formed table and teppanyaki barbeque. 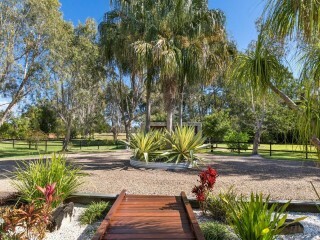 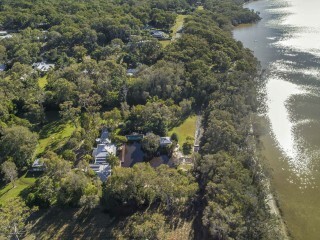 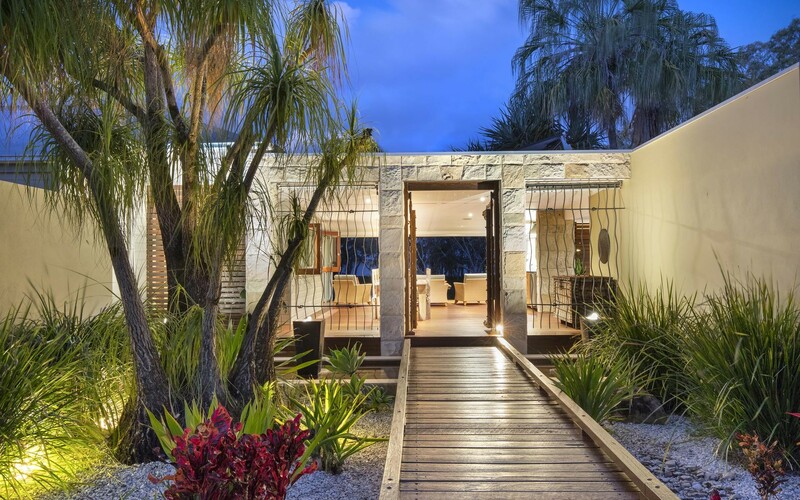 Lush tropical gardens extend around the home and include a three hole golf course.